The 7th Annual Davis Moo-nlight Run kicked off on Saturday night, July 7th, hosting over 1,500 people clad in glow-in-the-dark and bovine-themed outfits. Races began at 7:00 p.m., with the half marathon race taking off first. 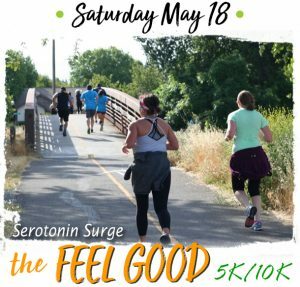 Runners in this division traveled along streets and bike paths of South and East Davis. After a kids fun run, 5K and 10K entrants were invited to the starting line for their race, which took off at dusk. Afterwards, live music, refreshments and a beer garden made for a fun atmosphere.